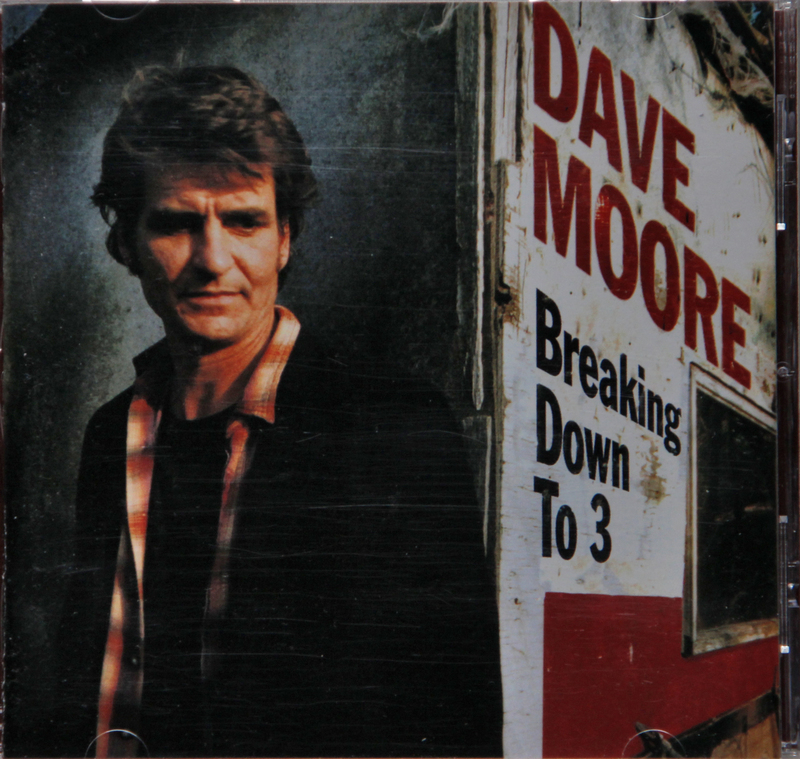 I recently reviewed Dave Moore’s last album to date Breaking Down To 3 on my bog (check it out here). In comparison with that album on here it’s showcasing a broader variety of musical influences, mainly stemming from his experiences and the time he spent in various countries in Middle and South America. This time clearly left a lasting influence on him and the music on Over My Shoulder, whereas on Breaking Down… these are not really to be heard (I am not familiar yet with his first record Jukejoints and Cantinas form 1984 but judging from the album’s title these influences most probably are on there too). These South/Middle American and TexMex influences are prevailing on a number of tracks, most notably on Open Your Heart (Abre El Corazon) which seems to have been written/amended by Mexican artist Manuel Guerrero and is based on Buck Owens’ Open Up Your Heart (or the other way around) and El Golfo written by Lolo Cavazos, which is the most authentic Mexican tune performed on here. The song The Mexican Highway is the track bridging these influences (it’s one of a number of songs where Moore also shines on the button accordion) with the Singer-Songwriter, Folk and Blues influences to very fine effect and is one of the melodic highlights on here. The album starts off though with a track perhaps the clearest indication of what Dave Moore is all about, an immensely gifted acoustic guitar player strongly influenced by Folk-Blues artists the likes of Mississippi John Hurt (who is name-checked on Over My Shoulder) and a warm, rich voice. Just A Dog is a slightly up-tempo song, with some outstanding guitar work, a fiddle providing some memorable sounds and Moore’s expressive vocals (he howls like a dog a number of times). A great opener. Bukka White’s classic Fixin’ To Die, perhaps most famous in Bob Dylan’s version (to me at least) is given the Dave Moore makeover – I have to say I like it better than Dylan’s version – and you don’t often hear me saying something to that effect when it comes to Dylan’s early work. I very much like the brilliant slide guitar and harmonica on here. God Moves On The Water (by Blind Willie Johnson) is updated here very convincingly. I have to admit that I am not familiar with the original version, but Moore’s version is affecting and quietly beautiful, with the Peter Ostroushko’s lovely fiddle sounding very wonderful indeed. The afore-mentioned El Golfo is the only instrumental on here, although it’s maybe a tad too traditional for my taste, but that’s just me, I am far from an expert on this kind of music, my only experiences with it are pretty much from Los Lobos and Calexico records, so don’t mind me. The next two tracks A Little Hey Dad and Half My Life are a bit more familiar stylistically, both being excellent acoustic Singer/Songwriter/Folk songs, the first one featuring a highly original and brilliant vocal arrangement and Moore’s trademark harmonica which I love a lot (not just on this track, but throughout his work). Half My Life sounds very much like an Old Time Country tune, complete with Western fiddle and saloon piano – it’s a lot of fun to listen to. The tongue-in-cheek Waitresses is a catchy little Folk-Blues ditty holding the flag for the working class high, which is always endearing to me. The Third Candle I Burnt Tonight is another sparsely arranged, gentle ballad on which I especially love Chris Weygand’s standup bass, it’s understated, tasteful and the song is all the better because of that. The best track on here is the title track, tucked away right at the end of the album. There’s actually an even better version than this available, which I included below (it’s a live recording from The Mill in Iowa City with only Moore and a gorgeous violin by Al Murphy). But the version on here is brilliant too, and as a song it may just the best song Dave Moore has ever written, it definitely is one of my favorites. 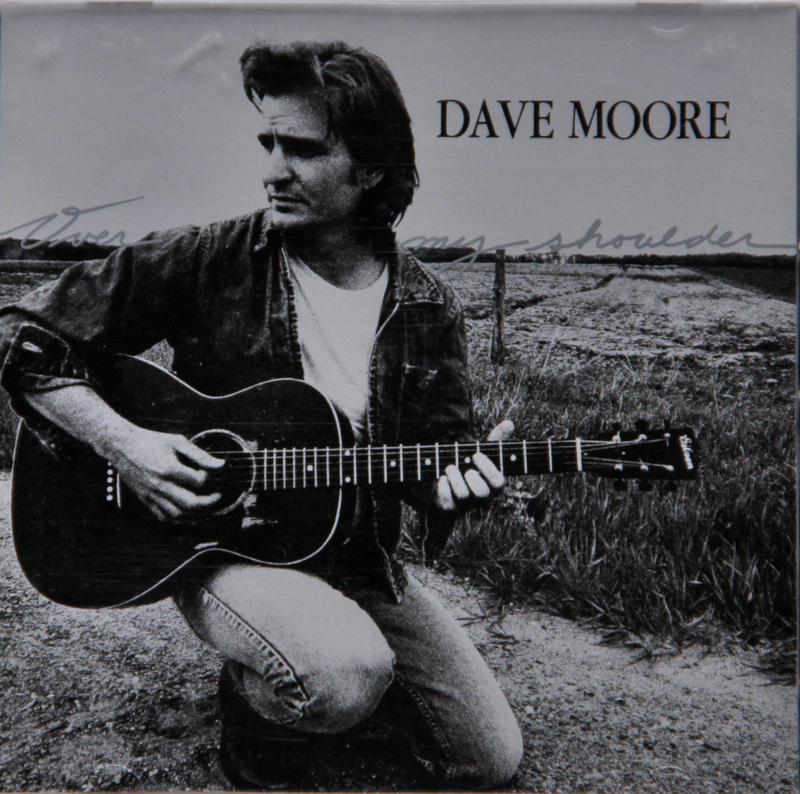 Listening to these two records, it’s clear to me that Dave Moore does belong in there with the best of his like and in my opinion it’s very unfortunate and unjustified that he is not as highly regarded or well-known as some of the other Singer/Songwriters and musicians of his generation. I wish he would release another album. I know I am repeating myself as I posted another Danny Schmidt video a few days ago, but this is just too nice not to. I promise the next video I post won’t be one of Danny Schmidt’s though. To state that Iowa Singer/Songrwiter Dave Moore has kept a low profile would be something of an understatement and he certainly can’t be considered to be prolific when it comes to releasing records – 3 albums from 1984 to the present day isn’t a lot. Which is an absolute shame, if you ask me. I first became aware of Dave Moore watching the Greg Brown documentary Hacklebarney Tunes that, with its accompanying CD If I Had Known, acted as a catalyst for me to discover Bo Ramsey as well (see my review of his album Fragile here…), not to mention Red House Records, which Greg Brown founded in 1981 and which I only knew by name before. Finding information about Dave Moore hasn’t been easy, he hasn’t even got a Wikipedia entry or example, so there was more or less only the short biography on him on the Red House Records website (http://www.redhouserecords.com/Moore.html). But fortunately there’s YouTube and there are quite a few videos of him playing in small Folk clubs, festivals etc. to be found. You can also get all three of his albums over at Amazon (if, like me, you live in an area without any record stores you could hope to find albums like his). However, I liked what I heard on these clips immediately, they were mostly solo acoustic recordings as well as a few that show him accompanied by other musicians. I soon discovered that he is an extremely talented (mainly acoustic) guitar player and ace songwriter. He’s also playing harmonica and accordion (which he learned from TexMex/Norteno legend Fred Zimmerle). The first thing I have to say about Breaking Down… is that it sounds absolutely stunning. I have seldom heard an album produced, mixed and mastered as well as this, the sound is crystal clear and airy while at the same time substantial and muscular (in a stripped down way – no loud and hard electric guitar riffs or anything like that). You can hear each and every instrumental track recorded with stunning clarity and the same goes for his rich, full voice. But having bought a few other records released on Red House Records recently I am slowly beginning to suspect that their records are usually produced to a very high sound standard, which of course is a distinct plus for me, I am very fond of good-sounding records. His music is Singer/Songwriter fare straight out of the American Heartland, with just the right influences from Folk to Blues, Roots and TexMex, (though the latter is mainly the case on the Over My Shoulder album and not really on here). His characteristic harmonica sound is employed to very fine effect throughout the album, especially on tracks such as Down To The River and Big Fool For You. Coupled with Ramsey’s (who also shares the production credits with Moore) amazing guitar work (if you read my review of his album Fragile or Pieta Brown’s Mercury you will now how much I am into his style of guitar playing), the combination of the two could be described as a match made in heaven. On here it’s especially Sharks Don’t Sleep and Midnight on which Ramsey shines. As usual he’s supplying just the right amount of ambience through his understated but highly effective, soulful and bluesy lead guitar. Midnight for me is the best song on here hands down – the bass guitar is going way down, it sends chills straight to your bones and it’s got great harmonica work too. The image I have got in my head whenever I listen to Midnight is that of standing next to the train tracks late at night and having a freight train rumbling by a few feet away. The other musicians of the small band accompanying him on the album don’t disappoint either, even if they stay in the background somewhat by Moore and Ramsey. David Zollo’s piano is augmenting Big Fool For You rather nicely and the use of an acoustic stand-up bass, as is the case on some tracks, is always a plus in my book. In the laid-back Big Drafty House a man is reminiscing back on his life of 20 years ago and the area he lived in at that time, sentimental perhaps, but a nice image nevertheless. On the ballad Painting This Room Ramsey plays (what I believe is) a National resonator guitar, unsurprisingly, that’s sounding fabulous. Next track Let’s Take Our Time And Do It Right is a good-natured blues shuffle. The saddest song on here is All the Time In The World, an intensely personal, gentle ballad about a father taking to his deceased daughter, so it sounds appropriately melancholic. Album closer Down To The River is an unashamedly romantic song about a man, his woman and a dog escaping city life in their cabin by the river with a suitable lovely tune and a simple yet graceful Folk-Pop arrangement. One of the overlooked gems in the Singer/Songwriter field of the past 15 years, that’s for sure. I am currently in the middle of writing reviews of two records by Iowa’s Dave Moore (not to be confused with the Texas Christian music bloke of the same name) to post them on here. In the meantime, here are three videos recorded back in 2006 at an outdoor Festival in Iowa City to give you a taste of his excellent work. Keep your eyes open for the reviews to follow in the next few days.